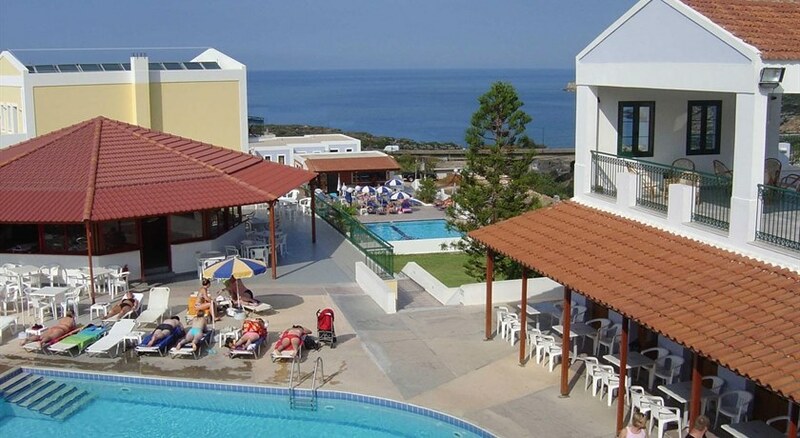 Camari Garden Hotel Apartments is a modern apartment complex located in Rethymnon, Crete, Greece. 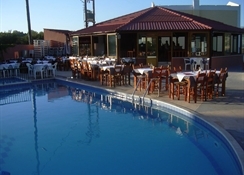 The hotel has 2 adult pools and 2 children’s pool on its premises and overlooks the Cretan Sea. The Nearest beach is Kamari Beach, which is just 450m away. The architecture of the hotel is inspired by the elements of Neo-Classical and Greek styles and this aspect is one of the major attractions of Camari Garden Hotel Apartments.The hotel has around 23 studios and 42 apartments equipped with all essential facilities. 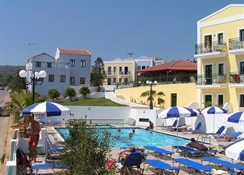 The location of the hotel makes it for an ideal sunny, beach vacation in Greece. The proximity of the hotel to various tourist attractions like Fortezza Castle, Municipal Gallery of Lefteris Kanakakis and the Marine Life Museum allows the guest to enjoy the beautiful locales of the Rethymnon, Greece. The hotel is popular for its ‘laid-back’ vibe. Camari Garden Hotel Apartments is located 60.1km away from the Chania International Airport and 89.5km away from the Heraklion International Airport. The closest beach, Kamari Beach, is just 450m away from the hotel. Tourist attractions like Fortezza Castle, Municipal Gallery of Lefteris Kanakakis, Marine Life Museum, Rethymno Venetian Harbour and Fortress, and the Rimondi Fountain are located 5-7km away from the hotel. 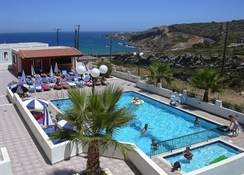 Apart from that, the Preveli Beach and the Monastery of Arkadi are located about30-35km away from the hotel. The hotel management can arrange for rental cars for the guests’ local excursions. There are about 23 studios and 42 apartments on the premises of Camari Garden Hotel Apartments. The studio and apartments are categorised based on space, number of beds and guests. All the rooms are equipped with a kitchenette with fridge, two cooking rings, kettle, air-conditioning, spacious closets, telephone with direct dial, balcony or a terrace and a sea view, shower, bathroom amenities and essential toiletries. Free Wi-Fi is provided in the rooms and on hotel premises. The guests can also enjoy some light cooking at their rooms. The Camari Garden Hotel Apartment houses a restaurant and a bar that serves all day. The hotel also provides breakfast buffet. 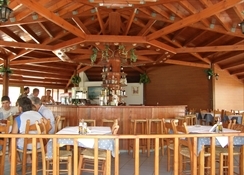 Various International and local Greek cuisines are available at the hotel. The in-house bar serves variety of local wines and signature cocktails. The proximity of the property to the town allows the guests to visit local restaurants and bars, which serve Greek and International cuisines along with a wide variety of local wines. The proximity of the Camari Garden Hotel Apartments to the Kamari Beach allows guests to indulge in water sports like diving, among others. The ones looking forward to spend some peaceful moments on the beach can soak up the sun relaxing sun bathing at the hotel’s sun terrace or at the Kamari Beach which is just 450m away from the hotel. Activities like horse-riding can also be tried at an additional charge. The hotel also houses indoor games like billiards, etc. 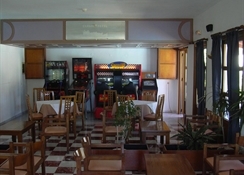 The hotel also houses a game room where the kids as well as adults can indulge in some indoor games and have a great time. The hotels’ proximity to various tourist attractions like Rethymno Venetian Harbour and Fortress, and the Rimondi Fountain allows the guests to experience the local culture to its fullest.